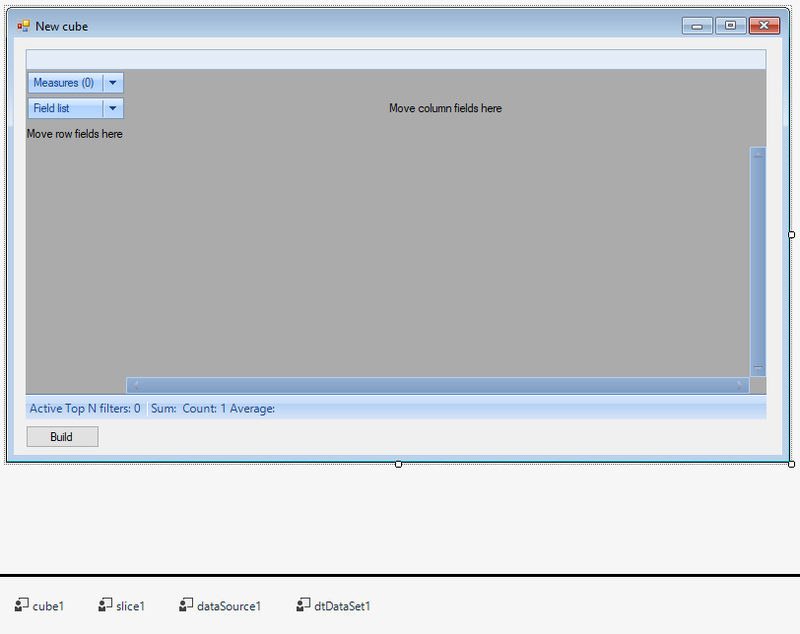 How to create new cube in FastCube.Net - Fast Reports Inc. In this article, we'll look at how to create a cube in FastCube.Net using code in a custom application. This question will appear to you right away, when you start working with this library. Well, I hope today we will clarify this issue. The cube file can contain both data and its’ representation. Let's look at the whole chain of the cube creation. Create a Windows Forms project. In References, you need to add links to the libraries: FastReport, FastReport.Bars, FastReport.Olap. dataSource, dtDataSet, cube, slice, sliceGrid, button. 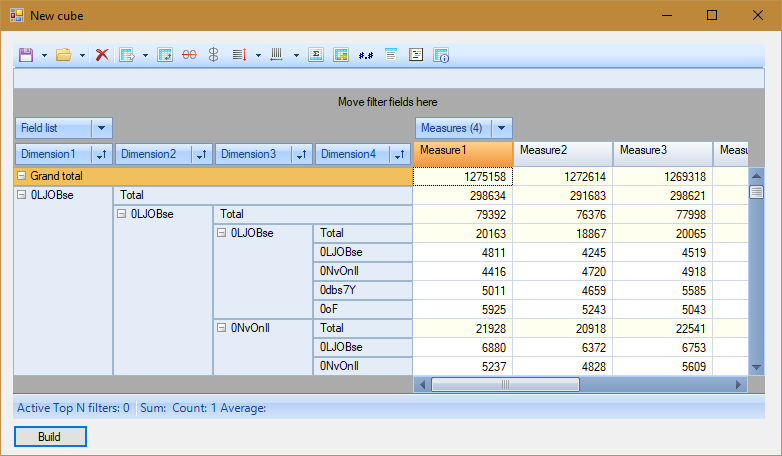 In the dataSource1 properties, we find the DataSet and select the available dtDataSet1 for it. In the slice1 properties, select the cube1 value for the Cube property. Adjust the size of sliceGrid1. In its properties, select the slice1 value for Slice. Now go to the form code. Here it is necessary to clarify that we will fill the table with fake data, just to demonstrate the possibility of software data generation. In addition to the DataTable, we can use a database or stream to retrieve data. So, we have prepared a data source. I'll remind you that you can use a table or view from the database, or a data stream. Add fields to the slice. That's all. Dimensions and measures are stored in separate containers. First we filled the YAxisContainer with dimensions. Then, an empty list of measures was added to XAxisContainer. And only then began to fill it with measures. This order is important for the correct display of data. In the final line of our code, we store the cube in the specified file. As you can see, it's quite easy to create a cube in the application code. It is more difficult to prepare data for it. But we'll talk about the data for the cube in another article. FastCube.Net components. Part 1. Cube, CubeGrid, CubeGridToolbar, Slice, SliceGrid, SliceGridToolbar.